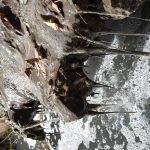 BIRMINGHAM, AL – As part of an overall effort to improve reporting and public notification of sewage overflows, the Alabama Department of Environmental Management (ADEM) has released two new tools. 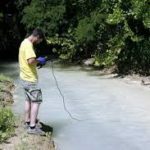 These improvements come on the heels of a petition filed in March by the Alabama Rivers Alliance, Black Warrior Riverkeeper, Cahaba Riverkeeper, Choctawhatchee Riverkeeper, Coosa Riverkeeper, Friends of Hurricane Creek, Little River Waterkeeper, Mobile Baykeeper and Tennessee Riverkeeper. The petition asks the Environmental Management Commission to improve requirements for public notification of sewage spills. 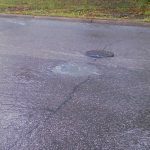 According to ADEM, when a sewage treatment facility detects a spill, the facility is required to report it to ADEM within 24 hours. Once that electronic report is submitted, an e-mail alert will be sent out within 15 minutes to anyone who has opted in to their notification system. The Environmental Management Commission is currently studying the issue of public notification presented by the petition. They will be conducting a stakeholder meeting regarding this issue in the coming months in an effort to find the most practicable solution for ensuring the protection of public health. To follow this issue and to learn more, please visit alabamarivers.org.